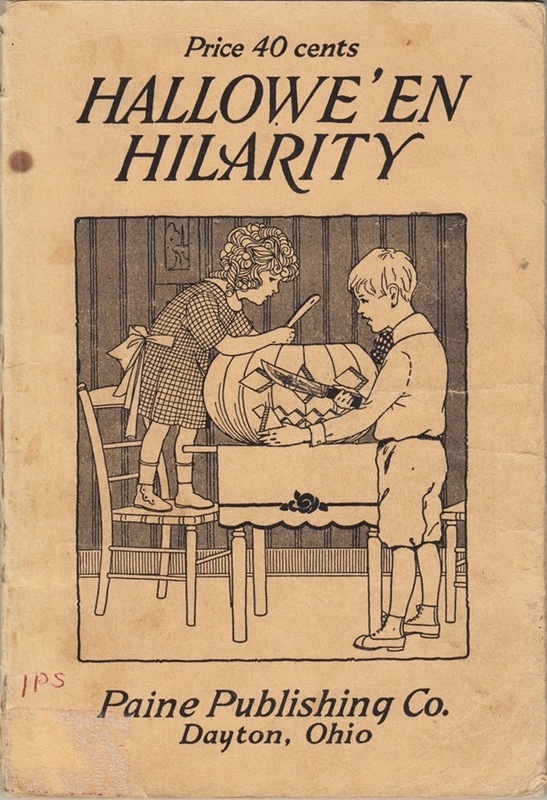 Hallowe'en Hilarity was published in 1924 by the Paine Publishing Company of Dayton Ohio. It has very few illustrations in it; the cover of the book is the most interesting. 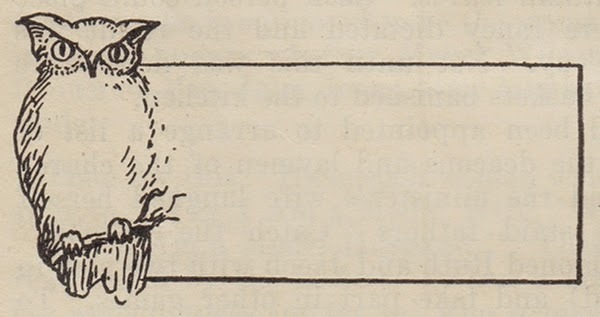 The pumpkin on a pole with an owl perched on top and the invitation/place card below are two of the best illustrations. 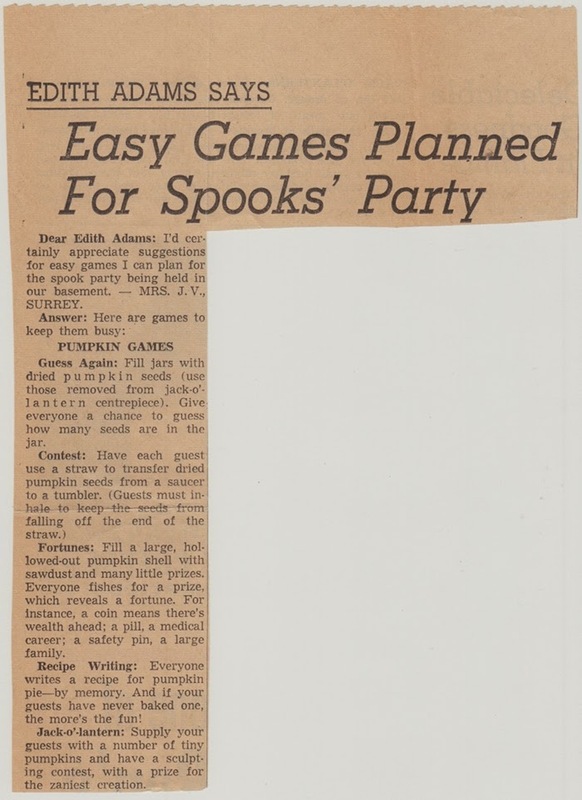 What I did find inside though was this newspaper clipping with party ideas on one side and decoration ideas on the other side. The layout of the newspaper looks very much like an old Victoria newspaper, the Times/The Daily Times?... I was young then so it wasn't important to know or remember the name of a newspaper! It is now called the Times-Colonist. 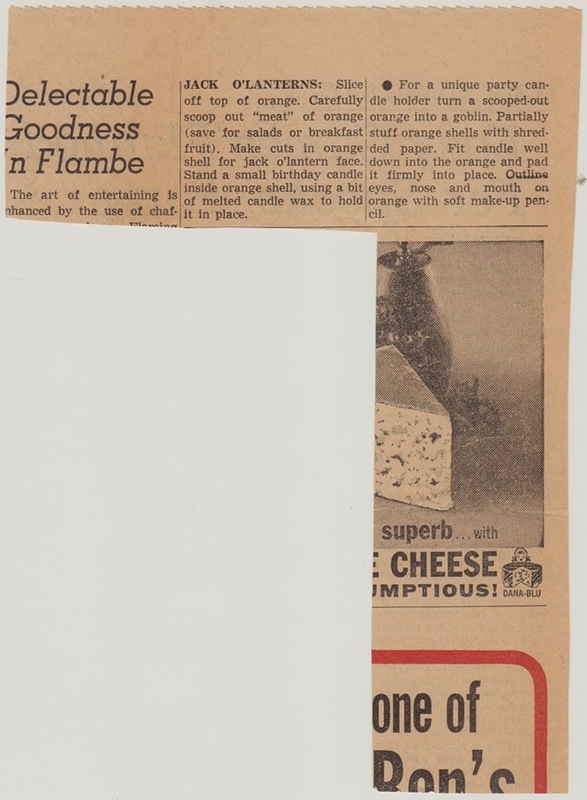 I don't know when the name changed so the clipping may be the Times/The Daily Times or the Times-Colonist.